Take your sweetheart on the journey of your love! A Quilt of Memories is a simple way to combine all of your experiences together into a lasting keepsake. Follow these three easy steps to creating a customized quilt in no time. Creating a quilt from scratch is long and tedious work, and chances are you don't have enough time to sew a whole quilt in time for Valentine's Day. So...we're going to cheat a little. Told you we were going to cheat a little! To make the process easy, the first thing you should do is go out and buy a quilt to use as a base. It's probably best to get one that already features many different colors and varied patterns so it won't look odd when you add your custom patches on later. Now comes the fun part. It's time to gather up the memories! Get those boxes out of storage and open them up. It's time to put that clutter to good use. Find the fabric items you have been holding onto that have special meaning in your relationship. 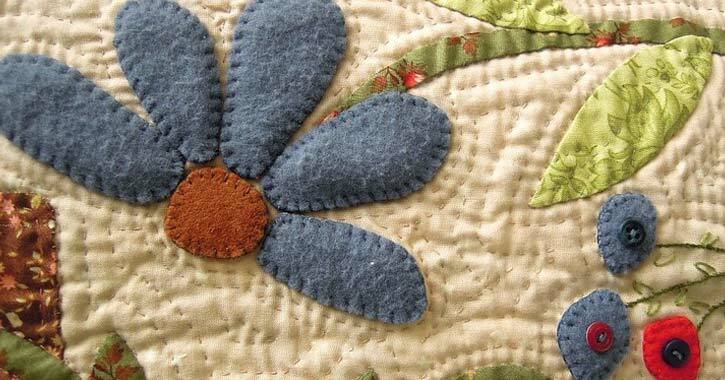 Cut them into squares, circles, hearts, and other shapes to sew them as patches onto the quilt. Variety is key! Did you save those blue jeans? That tank top? The little black dress? Chances are these clothes don't fit you anymore, and they're just hanging around for sentimental value. Well take them out, and cut them up! Your first kiss. The first time you told each other "I love you." Your first time to the ocean. Your first Christmas together. All of these are significant moments, and if you can part with these clothes, they would make a great addition to your quilt! Did you save the curtains from your first place together? What about the first bedding set you owned? That tired old blanket that you spent so many nights cuddled up together beneath...use your imagination! Remember that old ball cap he used to wear? Your old softball jersey? These are great pieces to include. Have kids? You could include pieces of their hospital caps, gowns, blankets, etc. Or if you have the clothes you or your sweetheart wore on the way to the hospital (or the trip home), you could cut those up as swatches for your quilt. Now, granted, you can't stitch photos onto a quilt, but you can transfer your digital photos onto fabric with iron-on paper. It's a fun and easy way to include some of your best memories on your quilt. Search your mind for any other fabrics that could represent things that hold a special meaning in your relationship. Finally, it's time to add your memories to the quilt! Take that pile of swatches, and grab a needle and thread. Figure in about five minutes to sew on each patch, and this is about how long it should take to finish your Quilt of Memories. Soon you will have a beautiful gift to present to your significant other on Valentine's Day...and you barely had to do a thing!